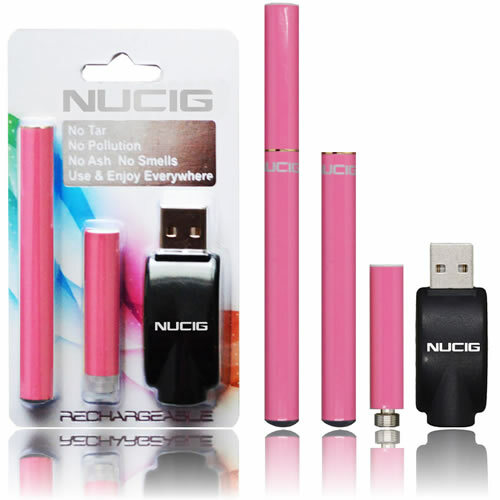 Pink electronic cigarette mini kit buy from NUCIG UK. Advanced PRO4 - Mini starter kit. Compatible with Advanced PRO accessories and MaxVol filter. new blister pack pack design with USB charging via a common USB port on computers and laptops. I used to smoke 10-12 ciggies a day - not anymore, not had a real ciggy in 2 months now. Very happy with service and product....awesome! After trying a few brands of ecigs i was beginning to lose hope in them as every ecig made me cough! 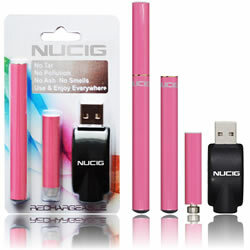 But this ecig is amazing it gives a nice throat hit and the vapour is not too hot, it looks gorgeous in the pink!